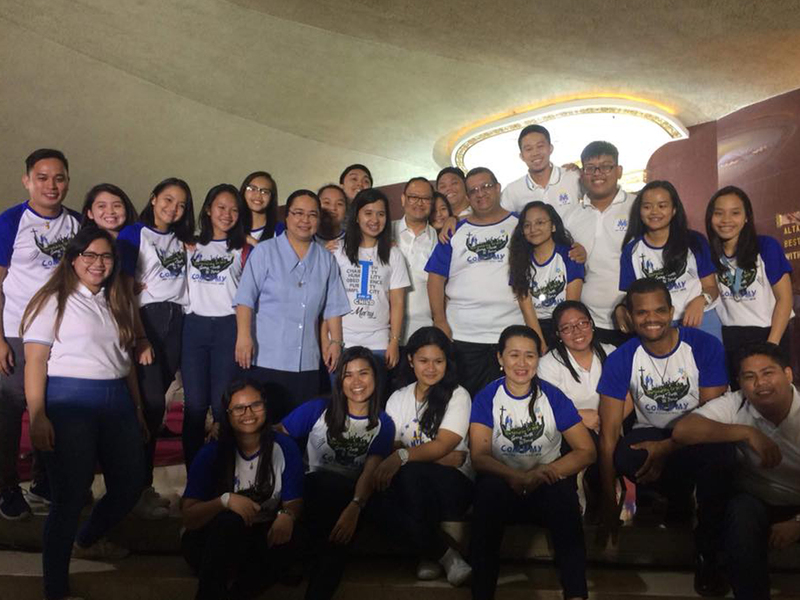 "It was a memorable experience for us because we are given the opportunity to participate in the celebration of the closing activity of the 150th Anniversary of the Children of Mary – Vincentian Marian Youth. The highlight of the trip was the celebration that was held at the Shrine of the Miraculous Medal. During the celebration, we were able to feel the love and devotion of the people in the association from different regions. We were united as one family in honoring and giving thanks to our mother, Mary." Our experience in Manila was unforgettable and will always have a special place in my heart. As one of the students who went to Manila for the celebration of the closing of the 150th anniversary of our association, COM-VMY, it was a very nice experience because I was able to witness the love for Mary from different people around the country. We met a lot of people who were part of the association. We heard and learned a lot of stories of their lives as someone who serves the association and how their lives improved by doing so. We witnessed presentations from different units and I especially had fun performing our dance because some from the audiences were brought to the stage to dance along with us and they did a very good job so it was fun to see. The whole activity in general was very nice and memorable because I was a part of that celebration as well as being able to live out Mama Mary’s virtues in my life. My experience during the closing celebration of the 150th anniversary of the association COM-VMY was a memorable one and a blessing. Seeing my friends and meeting different people from different parts of the country and of the world made me realize how little I know about the association and that how it is something bigger than a religious club. Meeting people whose faith and devotion to Mama Mary was so strong that it inspired me to strengthen my own and lead a holy and dedicated life to Mary. It made me realize how blessed I am to be given the opportunity to go and be a part of it. Our trip to Manila wasn’t as bad as I thought it would be. As a matter of fact, I had so much fun and have never been so honored to feel the presence of Mary within me. A special dance production from our school, Colegio de la Inmcalada Concepcion Cebu was presented for Mary including many other schools with the same organization was able to give their presentations as well. I was shocked on how huge this organization, Children of Mary could be but at the same time pleased to see my brothers and sisters gathering as one by living and celebrating through Mary. I am extremely happy to join this kind of organization and could not ask for anything else but to stay and to celebrate in this way forever, sadly, we had to go. This kind of experience is one of a kind and it really struck my heart and inspired my life to the point that I’d like to continue being in this organization. But, even if we have to leave one thing’s for sure is that Mary will always be there for us. Mary’s love works within us and it will never die. On November 16, 2018, the COM-VMY CIC Cebu students participated in the closing celebration of the 150th anniversary of the COM-VMY in the Philippines. This was a nerve wrecking and unforgettable event for the participants since they needed to present a stage number representing the Archdiocese of Cebu. The event was filled with fun and entertainment with the help of the different regions and archdioceses participating and not to mention the special guests who came in the event; Father Irving Gabriel Amaro and Yan Carlos de Jesus Calasco delos Santos, the international president of COM-VMY.